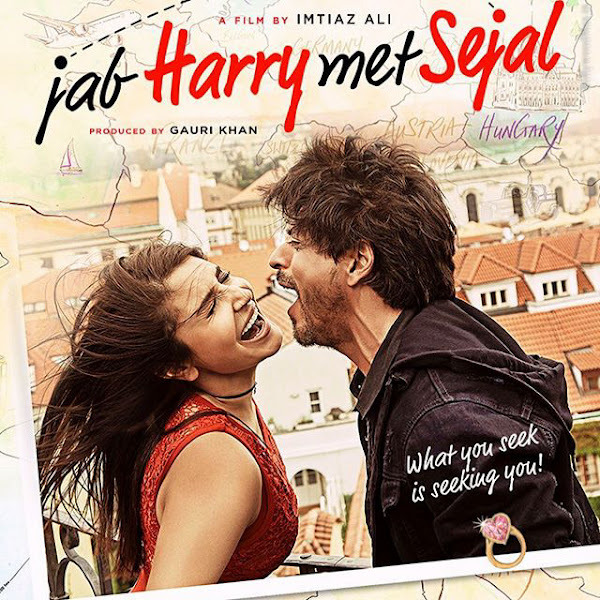 Jab Harry Met Sejal is an Indian romantic comedy film by Imtiaz Ali Starring Shah Rukh Khan, Anushka sharma, Sayani Gupta, Evelyn Sharma. Music of the film is given by Pritam. Jab Harry Met Sejal will be releasing on 4th August 2017 in cinemas. The story of the film moves around Harry(shah-rukh-khan) and Sejal(anushka-sharma) about their journey to Europe. Anushka's engagement ring search makes Shah Rukh Khan understand love and relationship better. Anushka feels new freedom, security and comfort in Shah Rukh Khan's company. And in between there is love, life,thrill,fantasy till the climax.